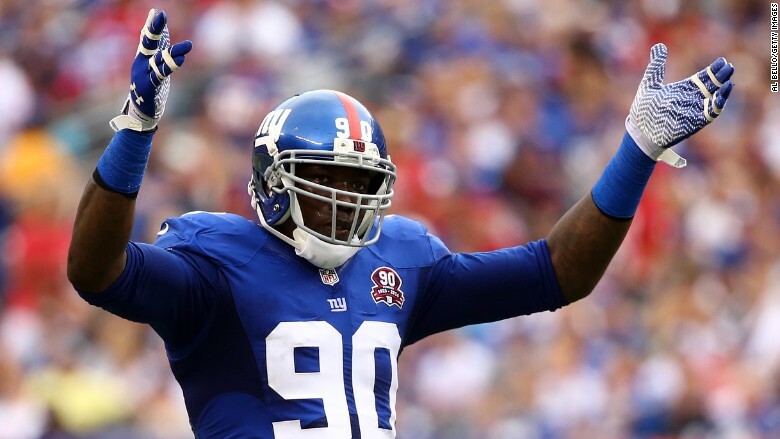 New York Giants player Jason Pierre-Paul apparently had a finger amputated on Wednesday. The reason we know that -- the publication of a private medical record -- is now the subject of a robust debate. On Wednesday evening Adam Schefter, a reporter and analyst for ESPN, posted images from Pierre-Paul's medical charts on Twitter. He said the images were "obtained" by ESPN. The medical records detailed what was happening to the finger -- which was hurt in a fireworks incident on July 4 -- and even included the exact time of the procedure. ESPN's web site also posted a story about the surgery, saying that "medical records show the procedure took place Wednesday afternoon," but did not republish the medical charts. On Twitter, there was an immediate outcry about Schefter's tweet, depicting it as a gross violation of privacy and a possible legal breach. The letters "HIPAA" started trending -- an abbreviation for the Health Insurance Portability and Accountability Act, a 1996 law that protects medical records. Did Schefter or ESPN violate HIPAA? The short answer is no -- "HIPAA laws apply to a very specific list of medical professionals," said Kelly McBride, a media ethics expert at the Poynter Institute. She was a former ombudsman for ESPN. ESPN said the same thing in a statement later Wednesday night: "HIPAA does not apply to news organizations." But if a health care worker leaked the medical information to Schefter, that person almost certainly violated the law. If identified, the person could lose his or her job and face jail time and fines. The records "should not be released without his explicit consent," said Arthur Caplan, the director of the medical ethics division at NYU's Langone Medical Center. Caplan concurred that HIPAA "only applies to health care personnel and payers," but said, "theft is a more serious matter." Representatives for Pierre-Paul had no immediate comment on Wednesday. His injury has been in the news for several days, but it has been shrouded in mystery, with little if any publicly released information. Schefter, one of the best-sourced reporters on the NFL beat, followed up the publication of the medical charts by saying that one of his sources "expects [Pierre-Paul] to play this season." That's been one of the big questions ever since the fireworks accident occurred. ESPN did not respond to a request for comment about whether it stood by the decision to share Pierre-Paul's records. And it is unclear how Schefter obtained them in the first place. McBride said that even though the HIPAA law does not apply to news organizations, "he could find himself being scrutinized in a legal investigation or civil suit" if a source violated the law. And the player "could have a reasonable expectation of privacy here specifically around his medical records." Caplan said something similar: Pierre-Paul's wishes "ought to be respected as to when he wants to say something. His doctors should not say anything either. When he wants to tell us his medical state, he will." "Of course it's news" that a prominent NFL player lost a finger in a fireworks accident, she said. "But is posting medical records the best way to break that news? Even if you are operating super-fast, don't you serve your audience better by gathering a little more context?"